That’s why I love pre 70’s model vehicles (for me) – easy to fix! Yeah, true. As I look at getting a new 4×4 I am leaning toward those older models that I can work on myself. 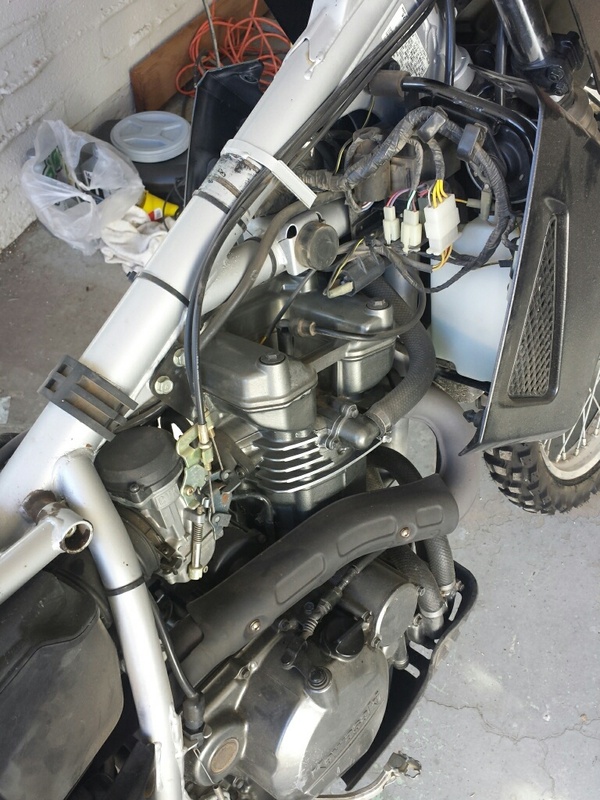 Good choices, on both the KLR and on learning to become more proficient at minor repairs and troubleshooting. As a fellow KLR owner and amateur motorcycle mechanic, I’d like to share a couple of tips and observations. 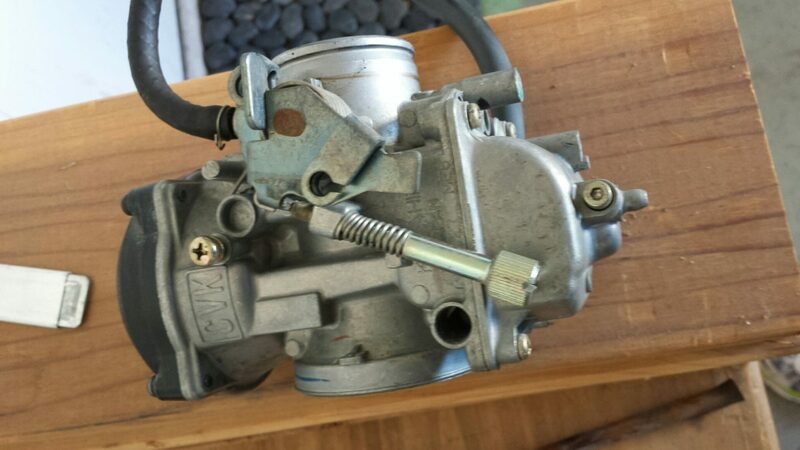 First off, a carburetor issue can’t always be corrected in the field with simple tools. I had a fuel system gremlin that no amount of aerosol carb cleaner was able to resolve. 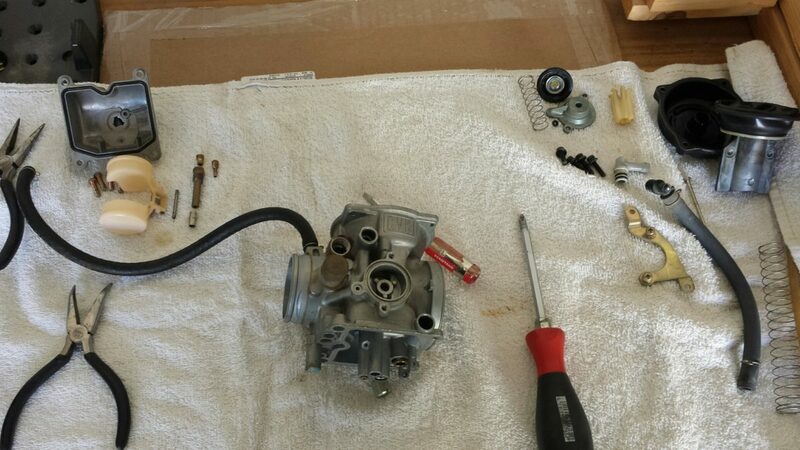 After disassembling and reassembling the Keihin carb on my 2006 KLR (four times! ), I finally gave in and sought professional assistance. After the carb was cleaned in an ultrasonic solvent bath and reinstalled, the problem disappeared. There is a lot to be said in favor of more modern fuel-injected bikes for adventure travel. Walter Colebatch has put forth a very solid argument: http://www.sibirskyextreme.com/2013/09/adv-bike-selection-2/. That being said, I still like the KLR enough that I’m now on my second one. There are many reasons I stuck with the KLR: ergonomics, community support (forums), parts availability, and last but not least, budget constraints. A few things specific to KLRs that you may find useful: if you find the headlight fuse in need of repeated replacement – after you’ve already upgraded it to 20 amps – try replacing your headlight switch. The stock high beam switch is prone to failure in a way that’s not immediately apparent. As it ages, it can open the circuit to both the high and low beam filaments of your headlight bulb, causing the fuse to fail. Replacing the switch may save hours of frustration in chasing down the cause of the problem. Lastly, do practice tire repair and tube changes. Breaking the bead can be extremely challenging. Make sure you have a tool along that works for you. Spare inner tubes are a good thing to bring with you on any extended off-pavement journey, and upgrading to heavy-duty tubes before going on an adventure is a sensible move. As I write this, you’ve now had your bike for almost eight months – have you taken it on any adventures? Good tips. Most of which I have implemented or haven’t run into needing yet. I do have heavy duty tubes on the bike and take spares with me on longer trips. I just got back from doing a 3000 mile RT from Phoenix to Cabo in Baja California, great trip! Before that I did about 1600 miles running up the eastern Sierra and through Yosemite for an event. That was a lot of fun too. Not sure where the next trip will be but I’d love to get back to Baja or explore mainland Mexico on the KLR. It turned out to be a perfect bike for Baja.